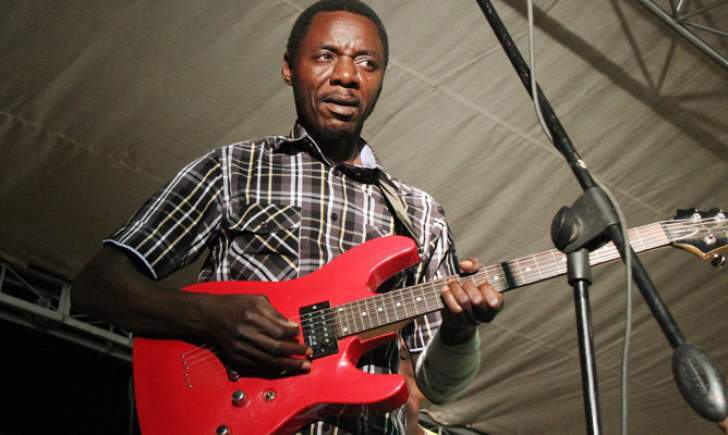 SUNGURA ace Alick Macheso has denied either playing a role or penning a Shona drama titled "Dzatisvitsa Kure", which is being sold in street corners. And with the drama awash in the street corners, Macheso's handlers have mooted taking legal action to bring the culprits to book. It was produced by street theatre actors Givemore "Pangolin" Wyred and Lawrence "Sabs" Sabawo of PangSabs Entertainment. In an interview with H-Metro, Macheso said he was shocked to learn about the drama he is purported to have written was now in circulation. "I'm actually shocked to hear that there is a shona drama I am said to have written being sold in street corners. "It's sad that there are people who want to reap where they did now sow as well as using other people's music for their own good. "I have never played a part in that drama and I also hear they used my songs as backtracks without my permission, which is a serious offence, which can land someone in jail," said Macheso. "One of the guys only approached me when they had already produced it. "It appears it dawned to them that they had committed a serious offence and decided to pay me a visit. "They could have asked for my permission and I was going to sit with my team and see if we could play our part or given them the green-light. "I told him that I could not help you since they had already done their project without my consent." Macheso blamed the producers for lack of professionalism and undermining artistes' creativity work. "If I had written it as they claim, I should have featured in the drama. "This is very bad because it has a bearing on my career if the content is not pleasant to the people. "The whole blame will also come back to me if the drama is unpleasant or shoddy which is very bad. "On behalf of Orchestra Mberikwazvo, we are not taking this lightly; we are going to take legal action because this is totally unacceptable." In another interview, producer of the controversial Shona drama confirmed they did not follow right channels in engaging Macheso. "It's sad that the person we sent to his house might have misled us into believing that we were given the green light to do so. "As it stands right now, we are going to engage him and tell him that we were misled by one of our people. "We even left DVD copies at his Waterfalls house and his children and Mai Sharon commended us for the concept that we took. "It's sad that we are now in a fix after it turned out that we were misled by one of us. "We will engage him and apologise and we are really sorry," said Pangolin. "To be honest, we wanted to include him in the part two of the drama. "By the way, it was a trial as we wanted to see how part one was going to be accepted by fans." The producers went on to explain all the tracks on his 11th album – Dzinosvitsa Kure – without permission from Macheso. Their genuine fears are that their reputation might be soiled by the producers who did not get the green light to use his music and name for their own benefits.